Everyone likes a great park. Parks, like the remainder of the built environment, range by how they are experienced and how they function. The classification of parks has been something that I have been thinking about over the past few years, and especially over this long drought of blog posts that I have had (sorry friends). In the same spirit of previous blog posts, I choose to use the Center for Applied Transect Studies methodology of classifying parks-that is to organize the parks over the rural-to-urban transect. I have heard the argument that a park is very low in density, therefore it must always be classified as T-1, or most rural–False! As an urbanist, I am very passionate about our walkable, urban environments. A large factor of the most successful urban environments is the park and its interface with the adjacent framework. And it is due to that, that when I see an urban park treated with similar materials to that of a very rural park, (plant material, paving, groundcover treatment, lighting, etc.) that I feel compelled to write this post. Without further ado, the following is a basic classification of parks and how they begin to fit contextually with the built environment. The Rural to Urban Transect, as illustrated by Duany Plater-Zyberk & Company. The natural zone is probably the easiest to define when it comes to parks, or are they? They are the areas that are the least impacted by man, however they may have man-made components. Most often, if it is called a “Park”, it probably does not fit within this portion of the transect. I will use an example from the town of my alma mater, Manhattan, Kansas. The Konza Prairie is a beautiful treasure for the State of Kansas that allows the public to understand the environment and history of the place. 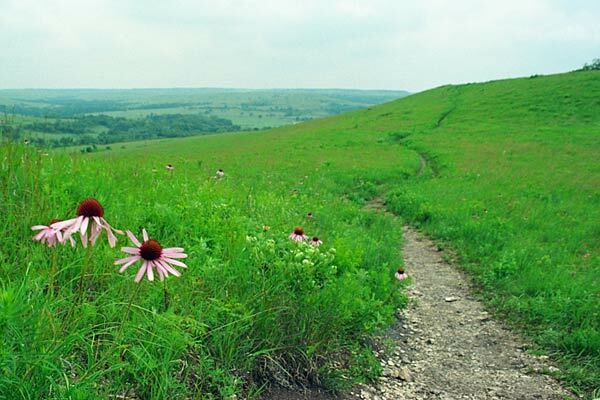 It features a trail system winding through the native prairie grasses providing a great example of how the vegetation functions in their micro-climates of the prairie. Examples of the Natural Zone are less known due to the nature of the areas. They are not necessarily advertised for tourism and are intended to be as natural as possible. Paths and Features: Paths should be as non-intrusive as possible. They should be narrow, and require as little compaction or detriment of the natural environment as physically possible. The goal should be too simply guide visitors on a path to limit their impact on the natural environment. The paths should be a gravel or crusher fines, with native material. Other man-made features such as way-finding signage, benches, and waste receptacles to provide usage for the public so that the natural quality is not jeopardized. Parking is occasionally found in the natural “parks”, however it should be a gravel material or something that minimizes the impact on the natural ecosystem. Plantings: The ideal scenario for plantings in any natural area should be to not add any plantings, however when mitigation due to human impact is necessary, a native seed mix shall be implemented with an initial maintenance period. The Konza Prairie. Photograph courtesy of Scott Haefner Photography: scotthaefner.com. When it comes to parks, the rural zone generally consists of the areas where people are encouraged to visit through tourism efforts or as a means to escape the more urban environments. Such places include State and National Parks where the natural beauty is celebrated and the natural environment is almost treated in a similar way to animals in a zoo. These places are meant to be experienced from the man-made defined paths and seating areas. 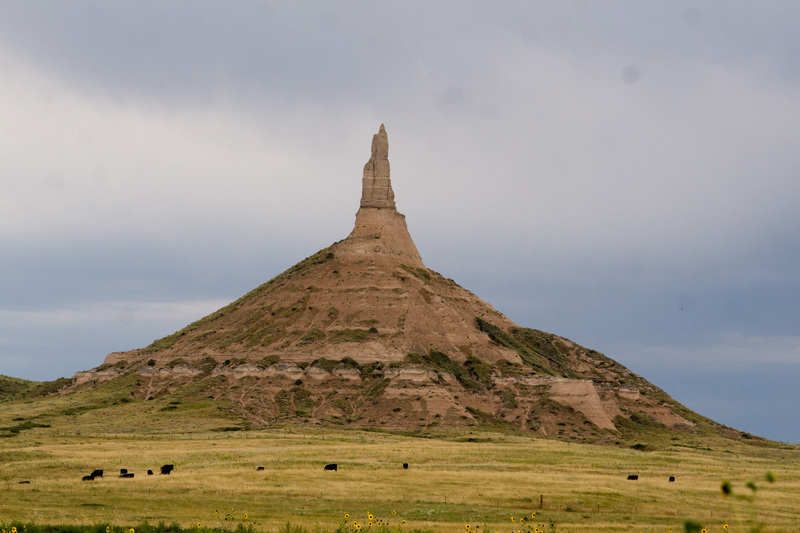 Some examples in the region include Garden of the Gods in Colorado Springs, Yellowstone National Park in Wyoming; Rocky Mountain National Park in Colorado and Chimney Rock in Western Nebraska. Paths and Features: Similar to T-1, paths often attempt to minimize their impact on the natural beauty of the place. They may be gravel, crusher-fines, or concrete depending on the intensity of use. Often times, features such as pavilions, benches, and observation structures also exist in the Rural Zone. Parking lots are often found within or near Rural Parks as most visitors will travel via automobile. Plantings: Plantings shall be limited to a native plant selection to the area and should blend and compliment the natural character of the place. On occasion, areas of non-native turfgrass may be utilized to accommodate foot traffic in the areas for maintenance reasons. Jefferson Park in Denver, is under transformation from a T-3 Zone to a T-4 Zone as the adjacent neighborhood evolves. The sub-urban (as opposed to the often confused “suburban”) zone includes what is probably the most common type of park. Parks in this zone include neighborhood parks and almost always include a playground component. These parks have probably the highest level of dynamism of all the types of parks. They begin to morph and change how they function as the neighborhood ages. Sometimes, they mature into parks more reminiscent of T-4 and T-5 at rate equal to the development around them. Examples of this evolution are found in and around the city core, or former streetcar suburbs. Examples can be found in the Denver area as development in the Lower Highlands progress. One such example is Jefferson Park in Denver, which was adjacent to a Better Block Project organized by Walk Denver in 2012, as a means to bring attention to the evolving neighborhood. Paths and Features: Sub-urban parks will often include concrete or asphalt paving with comfortable widths of at least 5-feet. Playgrounds, pavilions, kiosks, signage and other features are common in such parks. Typically, sub-urban parks are meant for the ped-shed (adjacent area easily walkable) and therefore do not include off-street parking spaces. 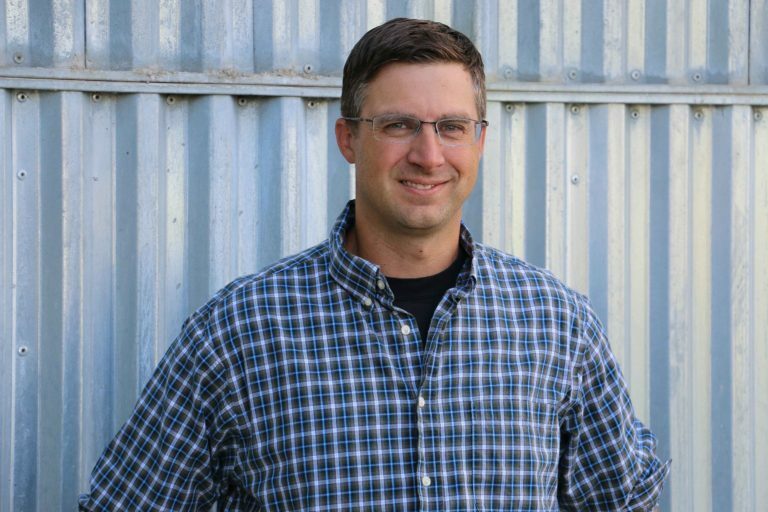 Plantings: Plantings for sub-urban parks should include trees for shade purposes, as well as a turfgrass that can withstand pedestrian traffic and use. Planting beds are also often associated with a mix of plants that are either native or adaptable to the area without additional water needs. Stolley Park in Grand Island, Nebraska previously featured a zoo, and today features a large community-constructed playground and circular train features for kids and adults. Parks found within the General Urban Zone are often a part of the City, County, or local jurisdiction’s maintenance program. Often times, such parks are larger parks meant to have a visitor radius of approximately 5-miles. Such parks are a refuge from the more dense areas and are often programmed for play, walking, and athletics such as basketball, soccer, or baseball. Stolley Park, in my hometown of Grand Island, Nebraska, is an example of a T-4 Park. Paths and Features: Similar to the parks on found in T-3, parks in the T-4 zone include paved sidewalks, however they are typically a minimum of 6-feet in width. The use of such parks is higher due to a more regional attraction area. Playground, and parking lots are almost always included, potentially in multiple locations, and on occasion. Occasionally, parks in the General Urban Zone will also include a complimentary city-wide attraction such as a zoo, museum, gymnasium, or indoor swimming pool. Plantings: Plantings in the T-4 zone are very similar to that of the T-3 zone. The exception to this rule, is the potential addition of an artificial field-turf for athletic use. An Urban Center Park, not to be confused with an Urban Core Park, is the point where mistakes are often made in the design of the park. Parks in the Urban Center have a different use than parks in the T-4, or T-3. Such parks are often no greater in size than a city block and are often programmed for the more casual visitor. Uses in Urban Center Parks are very similar to those in the Urban Core Zone and the primary difference is the contextual concentration of people and commerce. Passive uses such as a refuge for a phone call, lunch, or nap are common in the Urban Center Park. Such parks are encompassed by urban retail, offices and often residential. Active uses include farmer’s markets, events, concerts, or seasonal activities such as ice skating or play in a fountain. Examples of Urban Center Parks are found in most cities, however one of my favorite examples is Bryant Park in New York City. Although, this park is located in a much higher density than any other park in this category in the United States, it is a jewel of the parks with a design that encourages adaptation to the park over time while maintaining the elegant framework of the urban center. Paths and Features: Paths are often concrete with a width capable of allowing two couples walking side by side to comfortably meet each other on a sidewalk. The celebration of shade and water are common features through pavilions and pop-up jets. A band shell is also common feature and on occasion a location for a pop-up seasonal shop is also accommodated. Plantings: Trees, sometimes in tree grates, are a necessity for an Urban Center refuge. Turfgrass may be utilized, however it’s use is mostly passive for picnics, sitting, etc. rather than as an active use. Organic mulch is too often included in such parks, however a groundcover or gravel mulch is better utilized due to the amount of foot traffic that occurs or is desired in such parks. The Urban Core Park often leaves an impression on the City as a whole. It is the sense of relief in the most dense portion of the City. Similar to the other transect classifications, T-6 is not always present in Cities. The level of activity of an Urban Core Park is both passive and active similar to what was described for the Urban Center Parks. Concerts and other events are common place in the Urban Core Park. Urban Core Parks are often no greater than a City block, and on occasion, very small occupying a small portion of a block, such as Paley Park in New York City. Paley Park is probably the minority of Urban Core Parks, however it is worth noting. “The Plaza” in Santa Fe is a wonderful example of an Urban Core Park and is highly utilized by the city’s residents and tourists. Paths and Features: Often times, the hardscape, or paved areas, of an Urban Core Park are the predominant feature of the park. This is due to the high use of the parks, presence of dining tables, benches and other programmed amenities to the park that require a resilient surface. Similar to the Urban Center Park, the celebration of shade and water are almost always present. Street vendors and a high concentration of well-maintained landscape are very common to the Urban Core Park. Plantings: Trees are a very common feature, although located in tree grates or conditions where very little room for post-installation compaction occurs. Other plantings may be vertical or highly concentrated capitalizing on every place possible to incorporate vegetation for our biophilic senses. Flowers are often planted seasonally in pots in a very high density and plantings are very well-manicured. 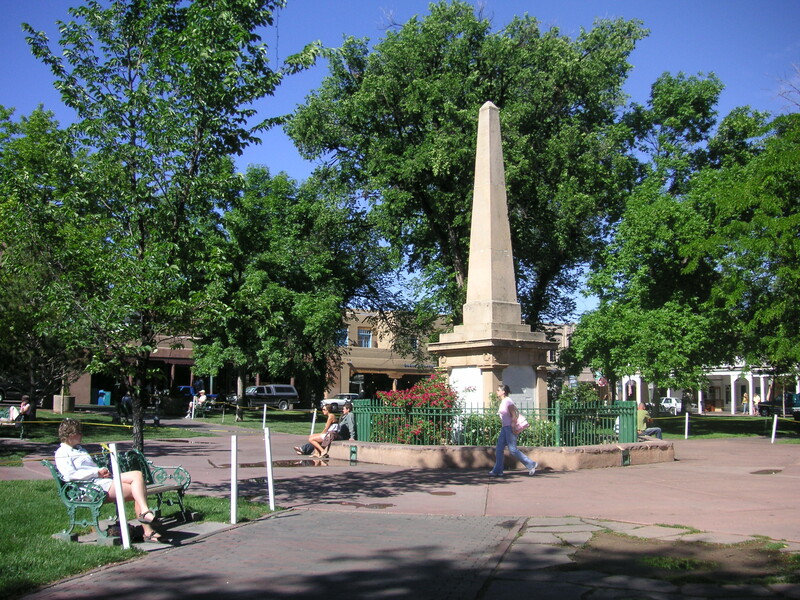 The Plaza in Santa Fe is often considered as the core of the City. When the Urban Core Park is active and well-maintained, it leaves a wonderful impression on the City as a whole. Every park has its context and how it fits into its larger ecosystem and community and the rules from all tiers of the transect are translatable to the Special District. After moving through the parks on the Rural-to-Urban transect, you may have thought about a few other types of parks that were not included, or may not have a place that they seemingly fit. The Special District category is where they begin to fit. These include parks such as baseball and athletic complexes, zoos, botanical gardens, etc. Each have their own set of needs based on the hierarchical programming. I truly hope that this is educational, or really helps put into words some of your personal feelings on the categorization of parks. The intention is that it be used as a basis of a larger parks discussion for your community. Please share in the comments below some of your favorites and where you feel that they fit into the transect. Reblogged this on Urban Landscapes.